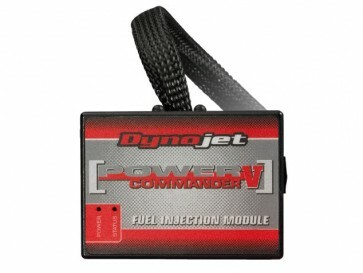 The PC is a fuel injection and adjustment unit that plugs inline with the bikes' stock ECU. The PC uses original equipment style connectors so that no splicing or cutting of the harness is required. Most installations take less than 15 minutes - some as little as 5 minutes. Changes are made to the bikes fuel curves via the PC's onboard microprocessor. Using this technology we are able to offer a large area of adjustment without making any permanent changes to the bikes' ECU (electronic control unit). Removing the PC returns the bike to its previous stock condition. 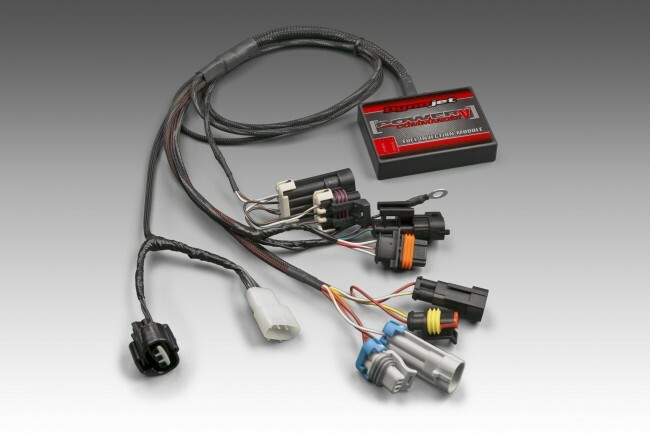 The Power Commander can be ordered preprogrammed with a your choice of several settings based on the modifications to your bike. The unit also comes complete with software and cable link that allows you to change between different maps or make adjustments to a map file.